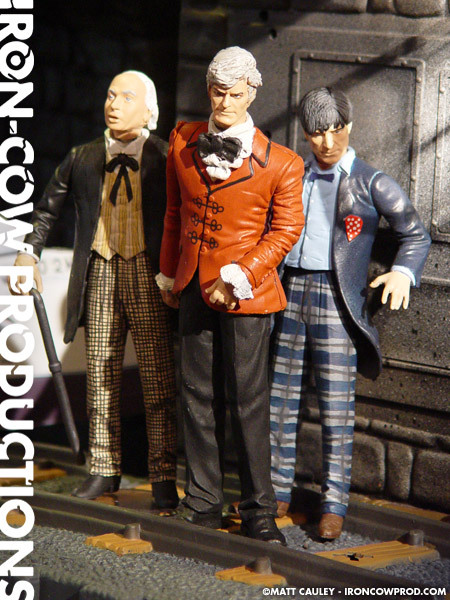 The Third Doctor custom is still a bit of a work in progress. 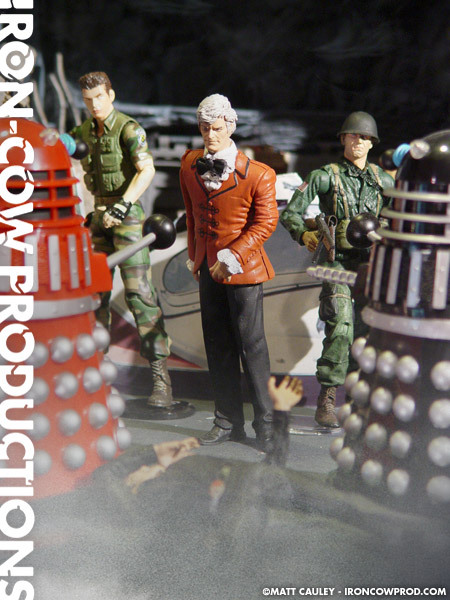 It seems every time I think I’m done with the Jon Pertwee incarnation, I will go back and rework him some more. 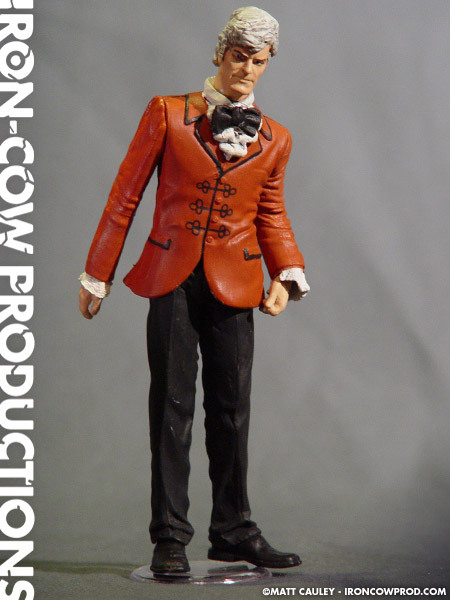 This version has a torso from a Carnaby Street Austin Powers figure. This is modified now to include a right arm from a Movie Maniacs Shaft figure. Shaft donated his pants as well after the legs from Revolver Ocelet proved to be too scrawny on my first attempt. 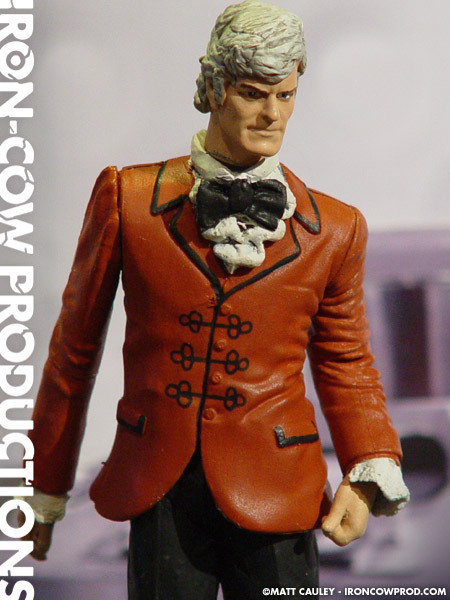 The cravat was sculpted out of Kneadatite while the head was reworked from an Elijah Snow (Planetary) figure, leftover from the First and Second Doctors’ customs. Overall I’m content with the custom, though I’m sure I’ll continue to rework him. 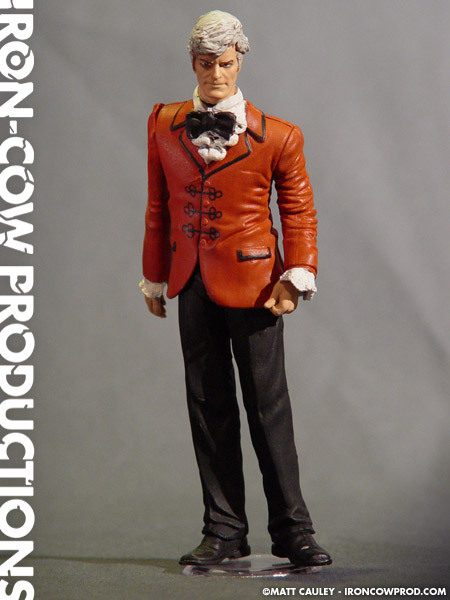 The headsculpt really is not a very passable likeness and may be replaced yet again (the image above is of attempt #1). 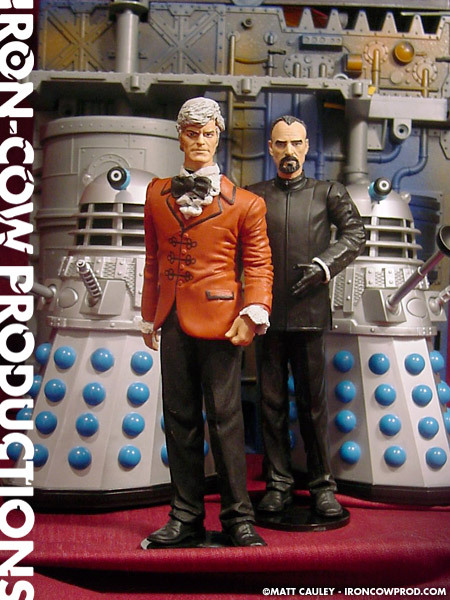 I would like to add his traditional cape, though, as this Doctor was seen more with it than without. Despite the lack of cape, I think he turned out okay. One day I hope to revisit this character.